This counted cross-stitch kit is great for anyone who loves needlework. 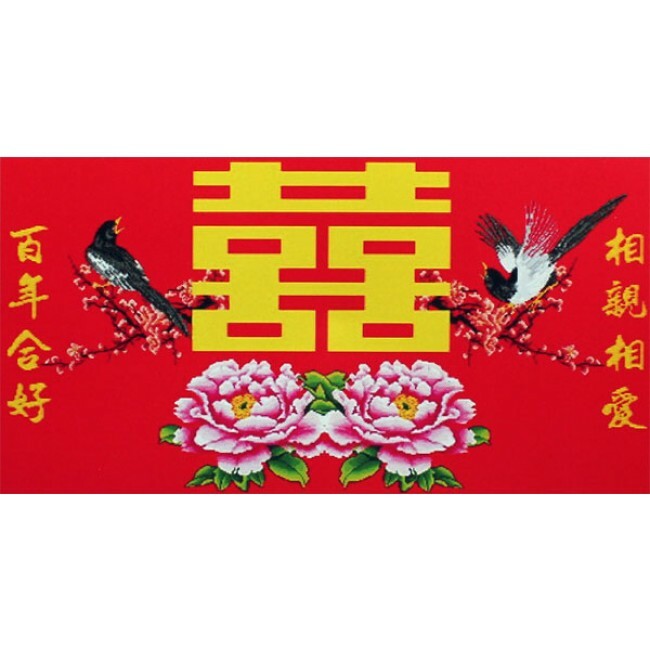 The cross stitch pattern contains traditional Chinese elements for a happy wedding: two magpies for good luck, the traditional Chinese wedding symbol "Double Happiness", and the auspicious flower peony. 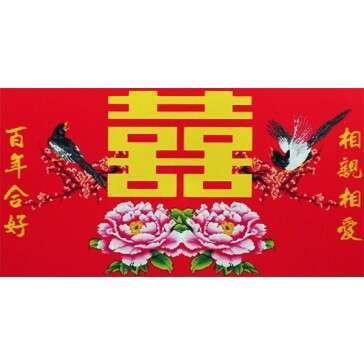 Also on the pattern are two Chinese phrases that mean "hundred year harmony" and "love each other dearly" respectively.